Today we are launching a brand new series! It is one I have had many a request for. 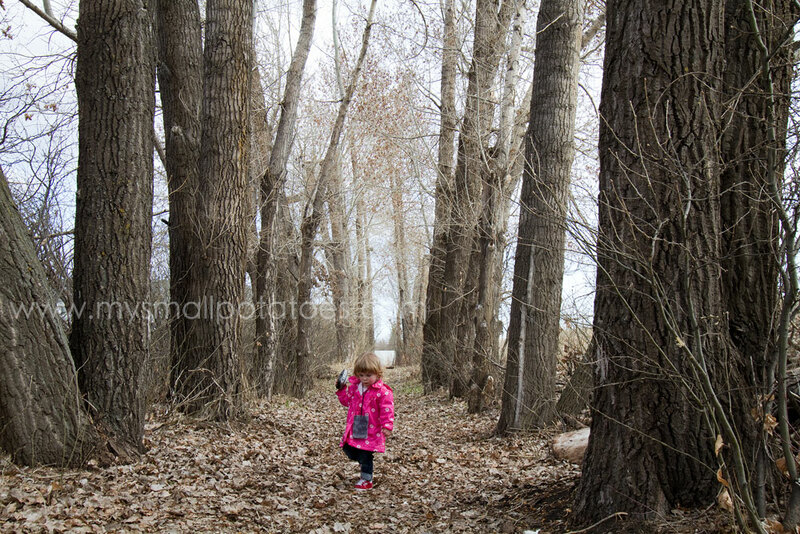 Once or twice a month I’m going to post a bitty, but juicy tutorial on how to improve your kid- blogging photography. 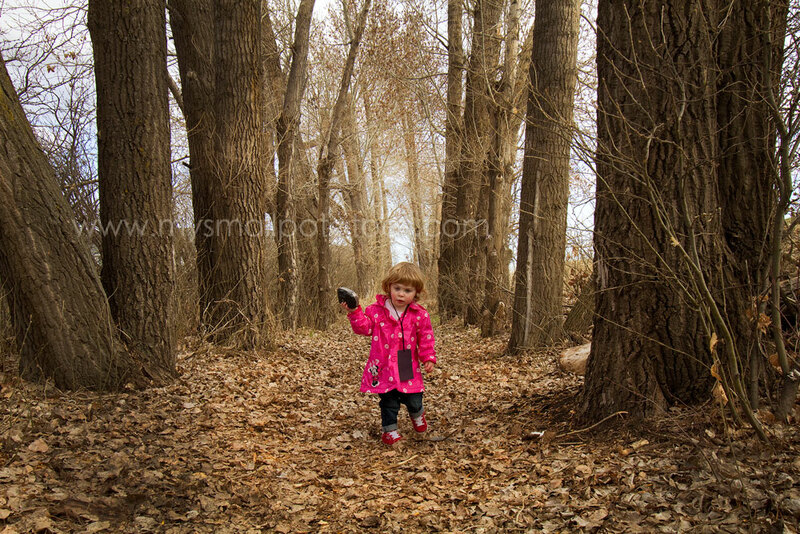 If you’re not a kid-blogger, don’t worry…these tips are good for everyday photography too! Each article will focus on one aspect of photography. They will be simple and easily digestible so you can start gathering new tips and skills that will in turn, give you a better photograph. By learning one bit at a time, we can avoid the inevitable “brain explosion” that comes from trying to absorb too much technical information at once! Your only job will be to practice in between articles…without practice, we can’t improve, no matter how much we are taught. So here we go! 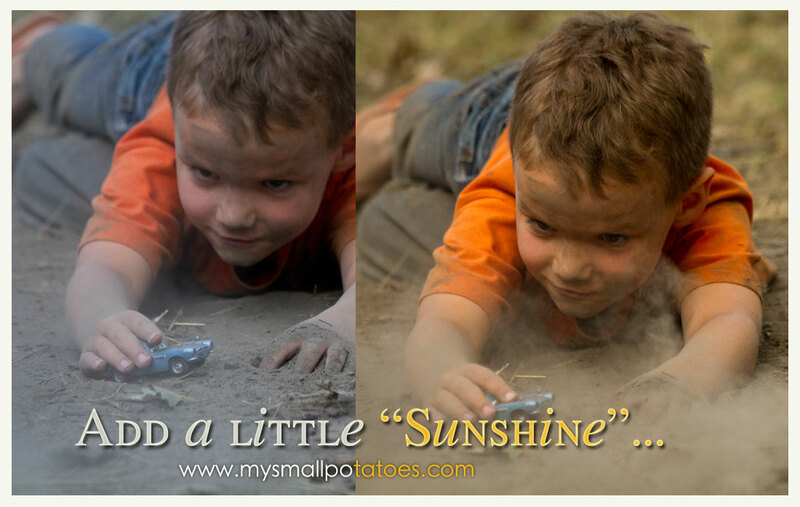 Today we are adding a bit of sunshine to our photos with one simple turn of the dial… The photo on the left was made with my white balance turned to automatic, or AWB. The one on the right was made with the dial set on the “cloud,” which adds “sunshine” to the image. In my opinion, the warm tones gives it a much friendlier, happier mood. 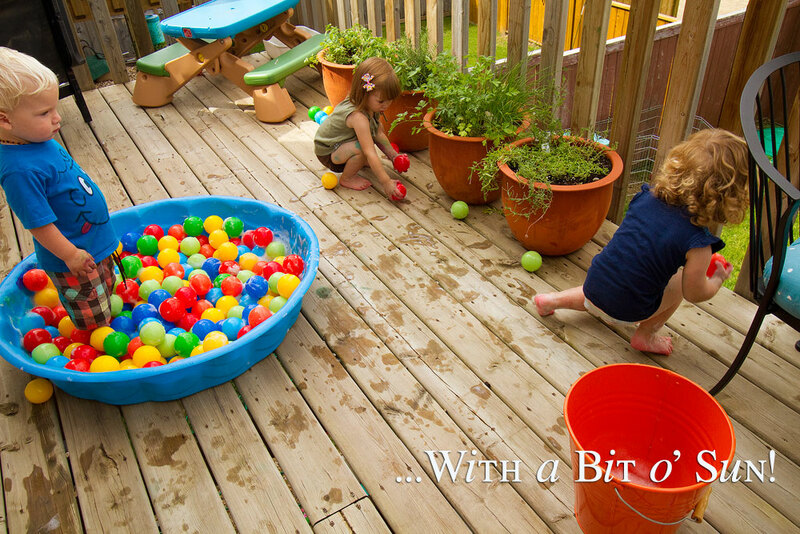 The colours are brighter and more vibrant and the overall tone is much more welcoming and playful. But first things first. 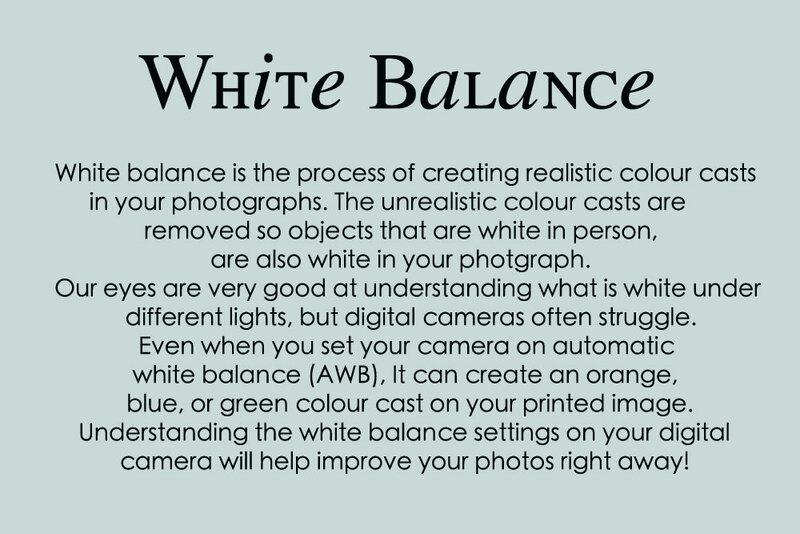 What the heck is white balance?? 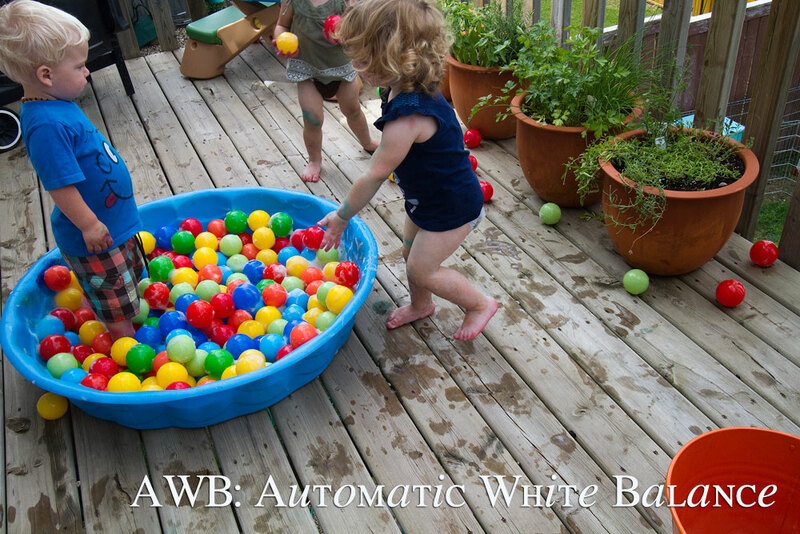 Well, I’m glad you asked… White balance is a very important element in the art of kid photography. You want the photograph to be warm, colourful, and inviting. A cold photograph does not have these qualities…there is no joy in a dull, drab, and chilly photograph. People often ask me how I get such colourful images. Well, I just add a bit of sunshine! 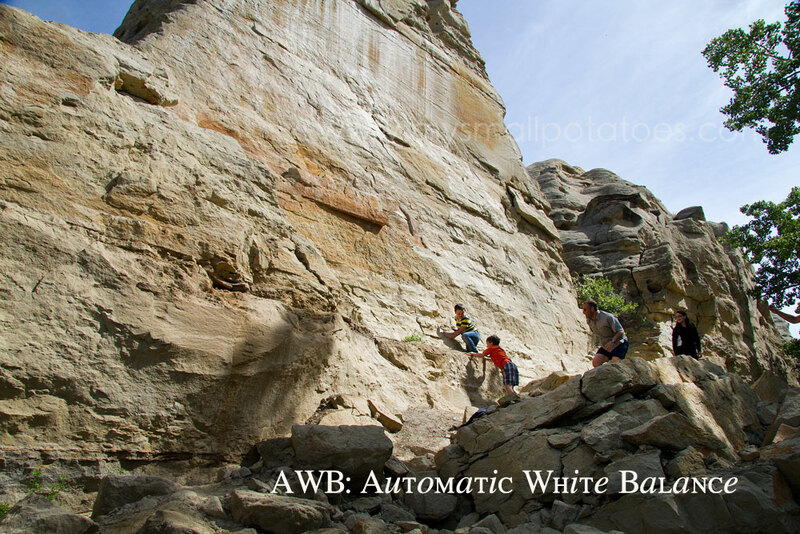 Most digital cameras will have white balance setting choices. But because all cameras are different, I can’t tell you exactly where your settings are. I can tell you that MOST of the cameras indicate the cloudy, warmth-giving setting with a cloud symbol or a sun partially hidden by a cloud. You can look in your manual to find out how to change your white balance settings, unless you already know. 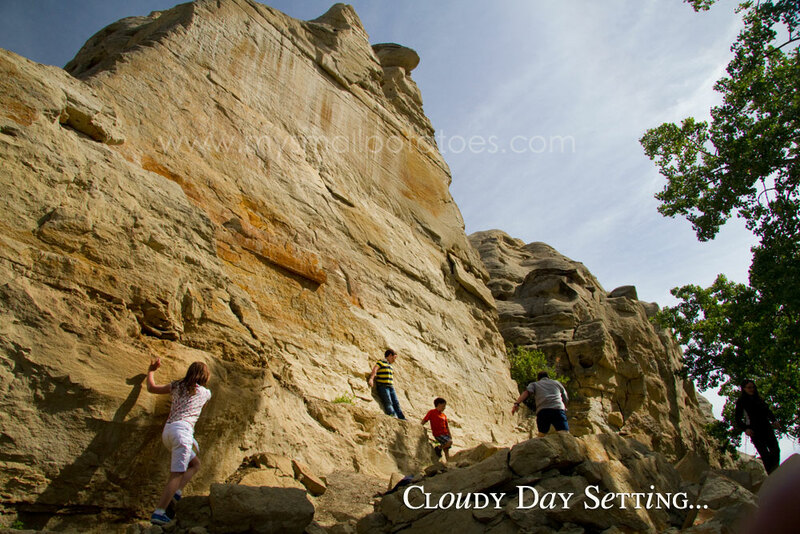 The cloud means you are shooting in a grey, “un-sunny” light and you want to warm things up, or raise the temperature. 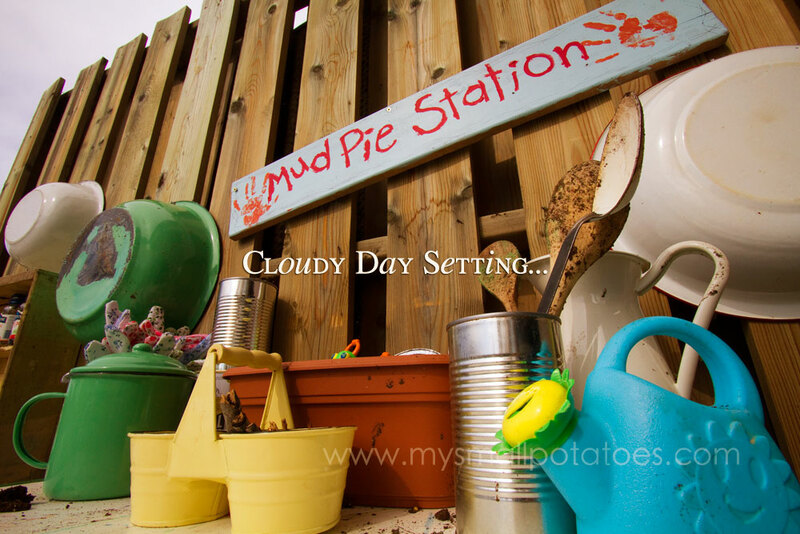 It is often thought that this setting is ONLY for shooting on a cloudy or overcast day. I disagree. Sometimes, its just what your photograph needs to lift it out of the ordinary. This photograph was made on a cloudy, grey day with my camera set to AWB: Automatic White Balance. In this case, I am using the cloudy day setting for what it was designed for… And now, same day, same light, and very similar composition, I changed my setting to the little cloud… Isn’t that so much friendlier? This photo was made in the sun, so technically there was no reason to change my settings… But I did anyway! See? Prettier! Warmer! And infinitely more colourful. Now, what happens if you make all your photographs on an AWB setting, you upload them to your computer, and you are unhappy with them? Well, a lot of the warmth can be added in when you are editing. 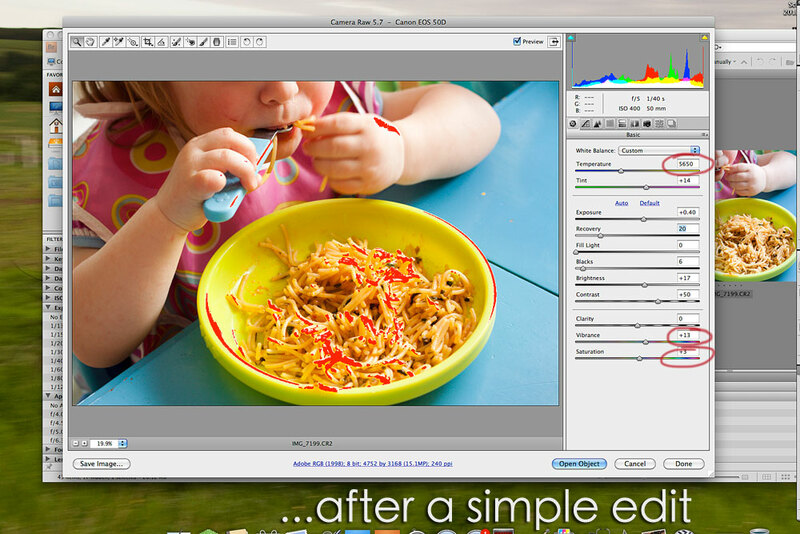 Most editing programs will allow a change in temperature, vibrance, and saturation. 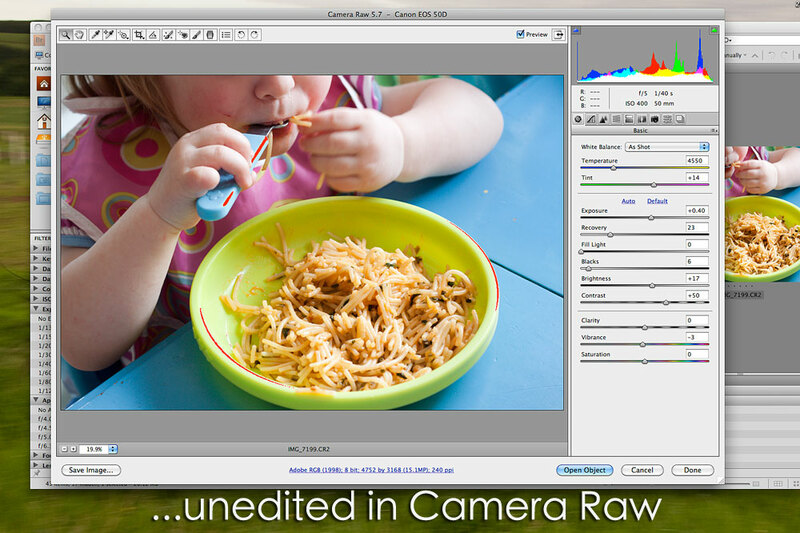 I use Photoshop CS4, but most of my editing is finished in Adobe Camera Raw. So when you are out with your camera next, experiment with your white balance. 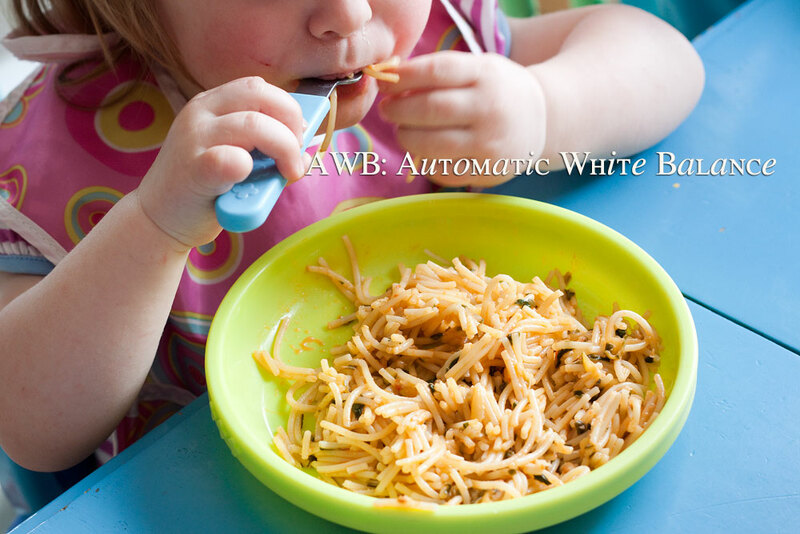 Snap one photograph on AWB and then change your setting to the cloud. See which one you like better. Such a simple step can bring such a change… Dont’ you think? You are welcome!!! Thank you!! Thank you so much for sharing this. 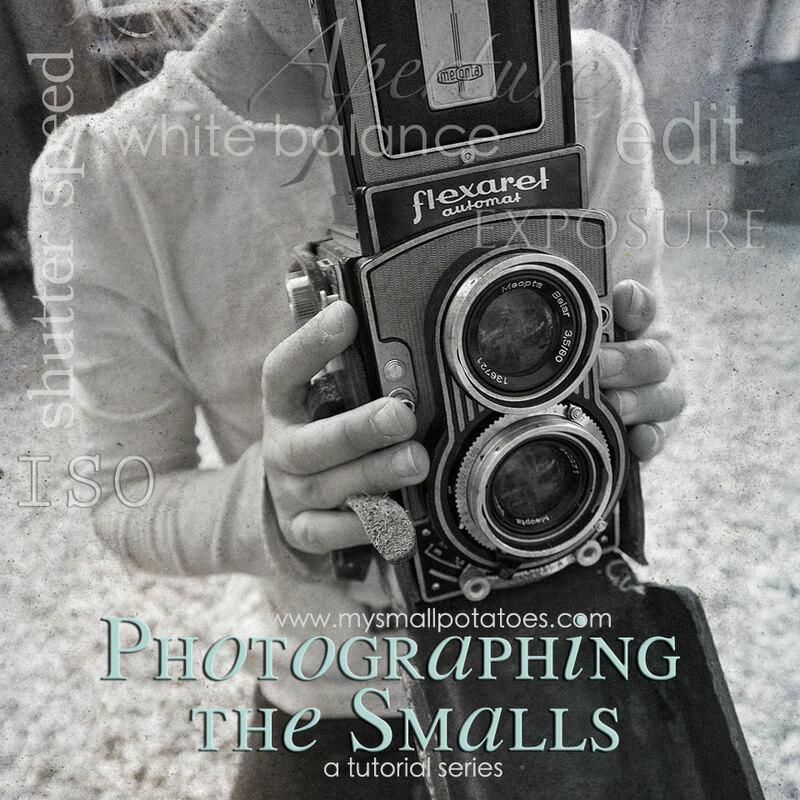 I adore your photos on your site and can’t wait to try this out and see what else you share in the series. Thank you for sharing these great tips. I’m so looking forward to this series. I love taking photos (100s and 100s of them!) and although I really want to take better pictures, I can’t cope with a proper photography course right now. Thanks for sharing! Thank you for this, I’ll definitely be playing around with my white balance. I’ve only recently got my first DSLR so I look forward to the rest of this series and learning to take better photographs! Thank you for this and I’m looking forward to all your installments in this series!